Humic Acid – HCM Agro Products Private Ltd. It is a powder or granular form of leonardite/Lignite & weathered coal. 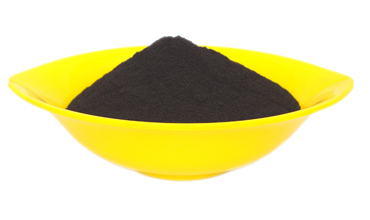 Humic Acid is basic raw material for manufacturers in agricultural and industrial products and it is a permanent humic substance and can not be degraded that fast by the microorganisms in the soil and increase fertility. Prevent Fertilizer run off, keep effective of fertilizer. Improve water holding capacity and aeration. Increase the fertility of soil. Enhance resilience of fighting cold, drought, insect and lodging. Improve tensility of root, makes plant absorb better. Agriculture and Forestry: Organic fertilizer, used alone in Turfgrass; Compound with other fertilizers to produce N,P,K fertilizer, raw material of plant nutrition liquid. Agents of pesticides, soil and stockbreeding etc. Building and construction: Concrete retarder, Sewage proposal, Erosion proof and scale remover. Oil field services: Oil drilling fluid, Fluid loss agent, Anti collapse agent, etc.